I felt like compiling a list of verses where “the fear of the Lord” is mentioned. I chose the ESV translation because it had the most instances (26) of the ones I looked at. I used Bibleworks for this and did some Search and Replace to get it formatted to this blog’s usual style. On most systems you can float your cursor over the reference and click on ‘More’ in the lower left to see the context, which I would highly recommend, although it will be one verse in the NLT. Once you get there you can choose another translation if you wish and then click ‘more’ again to get to the context. It really is quick and easy. I hope this is somehow of benefit to someone. I liked looking through it. and he will be the stability of your times, abundance of salvation, wisdom, and knowledge; the fear of the LORD is Zion’s treasure. “The fear of the Lord” is closely equivalent to what R. Otto labeled “the idea of the Holy.” Upon encountering the Holy One, one is filled with both fear and trust and gives expression to that awe by submitting to the ethics entailed in the purity of the Holy One. Wisdom consists in transcending the fallen human world and participating in the divine, the holy. The fear of the Lord is a mini subject of interest of mine. I’ve always loved this concept. I’ve learned some aspects of it I wasn’t aware of while starting to study Proverbs where fear of the Lord is key (Proverbs 1:7; 9:10). I think there is some true fear there but it’s not of eternal punishment (1 John 4:18) or any kind of condemnation whatsoever (Romans 8:1). There is fear of displeasing Him as our Father (filial fear) and just plain fear because of how incredibly awesome (in the classic sense) He is. If you were to come into God’s presence I can guarantee you’ll feel fear. I read the first two quotes below in the introduction to the commentary on Proverbs by Waltke which expresses these things better than I could. I found it at Monergism so I wouldn’t have to type it out and also include a second quote found on the same page. “fear of the Lord” cannot be understood by studying “fear” and “the Lord” in isolation from each other. The expression is compound. 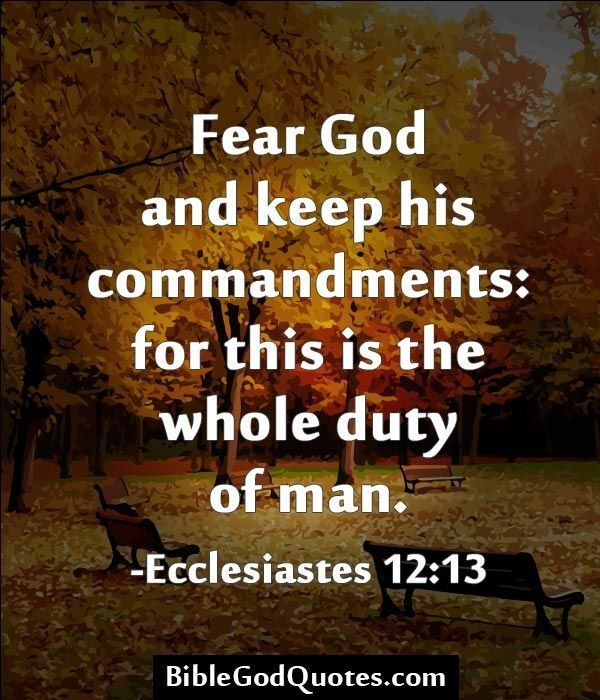 “Fear of the Lord[“] involves both rational and non-rational aspects at the same time. I suppose this is part of the reason I lament the fact that some translations have changed “fear of the Lord” to something like “reverence and awe” which just doesn’t do it. Even the NLT keeps the term because it’s both a traditional term and it explains the concept clearly which is the objective of the NLT, if I can be so bold as to put words in their mouth. Let the fear of the Lord not be diminished! The true fear of God is a child-like fear. Some of the Puritans used to call it a “filial fear.” It is a combination of holy respect and glowing love. To fear God is to have a heart that is sensitive to both His Godness and His graciousness. It means to experience great awe and a deep joy simultaneously when one begins to understand who God really is and what He has done for us. Machen (1881-1937) was Professor of New Testament, first at Princeton Theological Seminary, and afterwards at Westminster Theological Seminary, Philadelphia. Published in God Transcendent (1949). This command does not cancel out Psalm 100:2: “Serve the Lord with gladness.” Serving the Lord with fear and serving the Lord with gladness do not contradict each other. The next phrase will make that plain (“rejoice with trembling”). There is real fear and real joy. The reason there is real fear is that there is real danger. Our God is a consuming fire (Heb. 12:29). Yes, the elect are safe in Christ. But examine yourself, Paul says, “to see whether you are in the faith; test yourselves. Do you not realize that Christ Jesus is in you-unless, of course, you fail the test?” (2 Cor. 13:5). “Therefore let anyone who thinks that he stands take heed lest he fall” (1 Cor. 10:12). Confidence in Christ is not careless. Our security is rooted in God’s daily keeping, not our past decisions. ” is able to keep you from stumbling and to present you blameless before the presence of his glory” (Jude 1:24). Part of how he keeps us is by awakening the vigilance to rest daily in Christ and not in ourselves. The living God to whom believers have come is indeed the refuge and strength of his people, but their intimacy of their covenant-union is not unmixed with awe before his pure holiness. You have come to Mount Zion, to the city of the living God, the heavenly Jerusalem. You have come to thousands upon thousands of angels in joyful assembly, 23 to the church of the firstborn, whose names are written in heaven. You have come to God, the Judge of all, to the spirits of the righteous made perfect, 24 to Jesus the mediator of a new covenant, and to the sprinkled blood that speaks a better word than the blood of Abel. Praise God that he is our holy king, Lord, and master that we fear in awe and that he is our refuge, loving heavenly father, brother, and friend. See the context for the second two which isn’t as pleasant sounding as they are by themselves but I think they still stand. I love the idea of fearing God. Some have a hard time with it and some have never really been introduced to it so I always like to post a good quote when I come across one. But even though a person sins a hundred times and still lives a long time, I know that those who fear God will be better off. 13 The wicked will not prosper, for they do not fear God. Their days will never grow long like the evening shadows. …in the Lord’s Prayer … the twin truths that God is ‘Father’ but ‘in heaven’ guard against craven fear on the one hand and flippancy on the other. Talk is cheap, like daydreams and other useless activities. Fear God instead. And his [Titus] affection toward you is even greater as he remembers the obedience of all of you, and how you received him with fear and trembling. Prepared In: 1.816 sec. w/ 52 queries.